Buying this product = 19 Reward points for Members. Your cart will total 19 points = voucher of $0.95. Not a Member? Join at checkout to claim these points. Created at Bondi Beach, handmade with love in Australia. Cruelty free, Black Chicken products will never be tested on animals. Essential Oil Inhalers are little pocket diffusers that you can take anywhere. Refillable with other essential oil blends when finished. Pink Grapefruit - fights stress with an uplifting boost. Neroli - mild, natural sedative to reduce anxiety. Patchouli - soothing and encourages serotonin and dopamine release. Lavender - widely used for calming and relaxing. Nag Champa - helps relaxation and concentration. Marjoram - can reduce inflammation and nervousness. Mandarin - uplifts and soothes restlessness. Bergamot - helps release dopamine and serotinin. Citrus Paradisi (Pink Grapefruit essential oil), Ocimum Basilicum (Basil essential oil), Citrus Aurantium Amara (Neroli essential oil), Pogostemon Cablin (Patchouli essential oil), Lavandula Angustifolia (Lavender essential oil), Michelia Champaca (Nag Champa essential oil), Origanum Majorana (Marjoram essential oil), Citrus Reticulata (Mandarin essential oil), Citrus Aurantium L. Subsp. Bergamia (Bergamot essential oil). It is said that Black Chicken is an ancient crone, renowned for her healing powers and ability to transform her appearance at will. For centuries they came, with their problems and ailments, to sit at her feet. Only those with good hearts were admitted. Those who had forgotten how to trust sought her door in vain. They came for comfort, for salves, for oils and herbs, for creams and cures. They told their stories and for each she had a little magic to spare. Black Chicken knows, they said, one to another, and so their children learned and their children’s children. 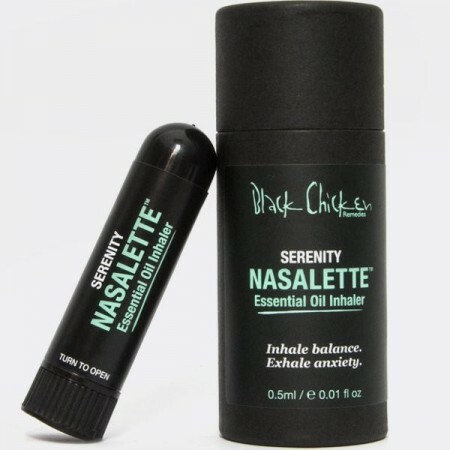 Black Chicken is the stuff of legends, but there’s no myth in the remedies afforded by practical and specific application of 100% essential oils.